To many, the word liturgy brings to mind juggling a hymnal, Bible and a bulletin printed with formal responsive texts as you worship in a cavernous Gothic-styled church. With great faith and affection, Benedict rescues liturgy from its stuffy associations, revealing it as a momentous occasion every Sunday, no matter the worship style. Worship is a remarkable spiritual adventure and the liturgy itself is God's playground—a pilgrimage of individuals and faith communities joining the divine purpose. Through the liturgy's daily, weekly, seasonal and annual dimensions, we experience God's power to shape our lives. We unite with Christ in heart, mind and work to participate in God's new creation. 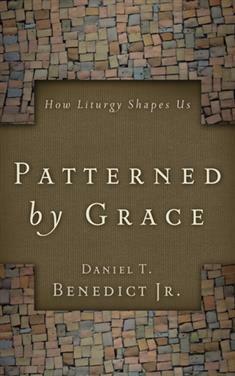 "Liturgy is more than personal piety," writes Benedict. "It is worship for the long haul… It simply goes on week by week and invites us to come along. It even carries us when our spiritual feet get tired and our energy level flags." Exercises contained in the group discussion guide will awaken your imagination to the power of the liturgical life. Liturgy is where God is waiting. Your part is to include yourself in that community of open hands, hearts and minds.